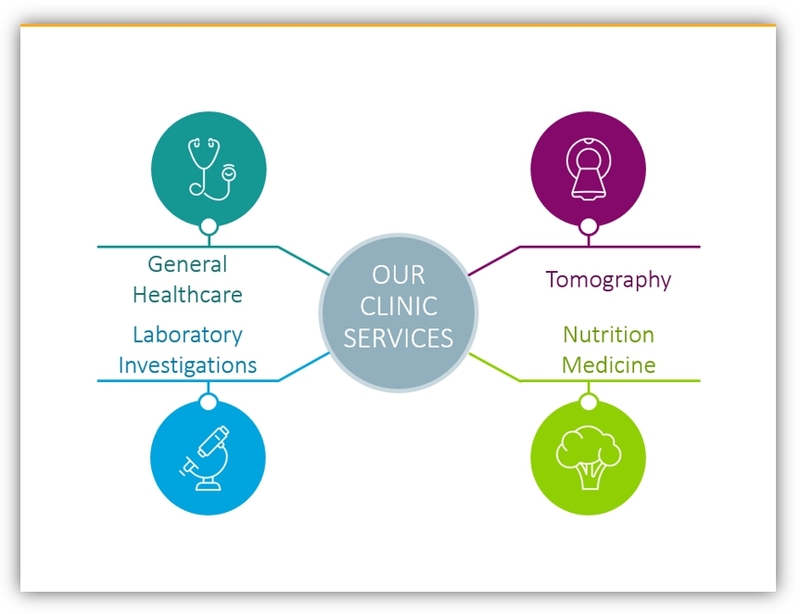 If you need to illustrate healthcare documents, you will need well-done graphics. You’ll want elegant imagery which can help you get your concepts across. You want high-end images but may not have the time or budget to hire a designer to create custom graphics for every project. In those circumstances you want engaging graphics to help solidify your points. You can efficiently relate messages with graphics. By choosing the correct icon or small graphic, you can replace words and make difficult ideas easier to understand. Outline graphics have a modern look and flair. They are one of the top trends of 2018, and they are believed to persist into 2019 – and beyond. The best part is you can customize these modern outline graphics in PowerPoint, assuming you have them in vector format. No complicated Photoshop is required. Remark: You can get all the diagrams and icons from Medical Signs and Outline Health PPT Symbols for presentations. The great thing about having a bigger graphical symbols library is the way they can be used for many topics. They are flexible. Whether you need to present on medical transport and personnel topics, first aid and medical help topics, or medical equipment topics – adding a light outline icon can help. Just look at these examples for how you can use outline graphics on patient educational materials. 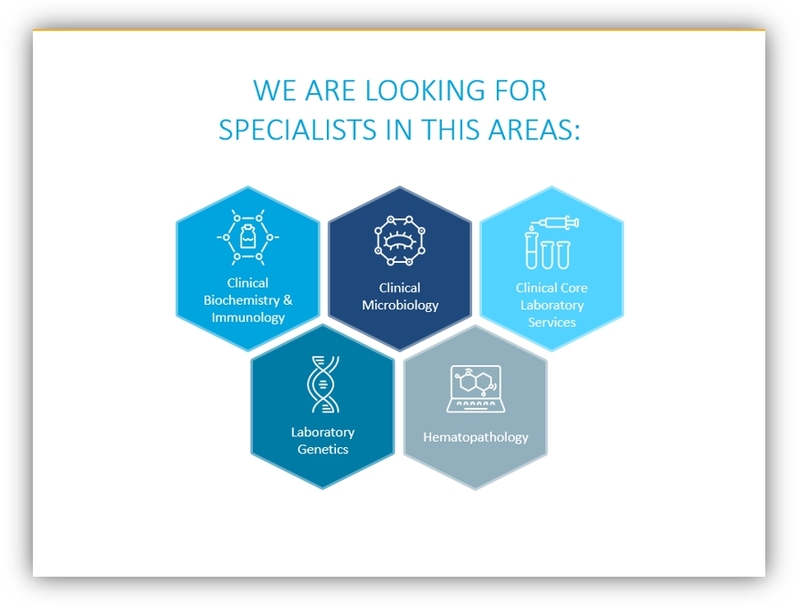 In this image, you see how the presenter clearly outlines the different types of services provided by their clinic. They use simple icons to symbolize complex ideas, information and concepts. Nutrition medicine may be a difficult idea to conceptualize visually because nutrition can manifest in many ways. Using a simple broccoli graphic allows the presenter to highlight several key concepts with an easily recognizable symbol. 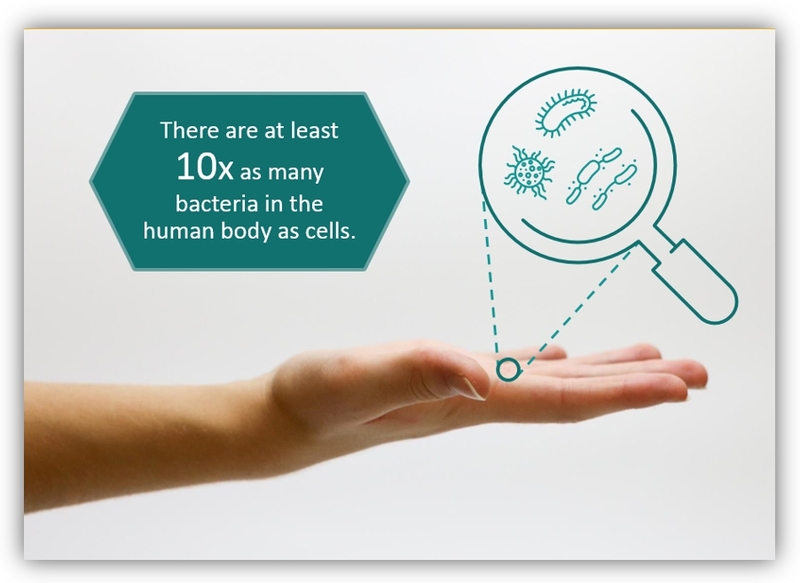 These two images use different organ graphics to accompany facts about them. Using images, like the brain outline, help audiences and readers retain information. It gives them a visual cue and reminder for the tidbit they have just read or are about to read. These graphics, while being interesting, don’t require a great deal of creativity on your part. Think about the parts of the body or tools involved in the information you must share. How can you utilize graphics to tell your story? Making a medical poster or infographics can also benefit from graphics. See how the different areas can easily be simplified with graphics? Focus your message, say more by using words less. This visually stunning slide or poster can be created with a few simple graphics and a stock photo. It doesn’t require complicated software to make slides like this. You can have all the style and consistency of a graphic designer, only using PowerPoint! 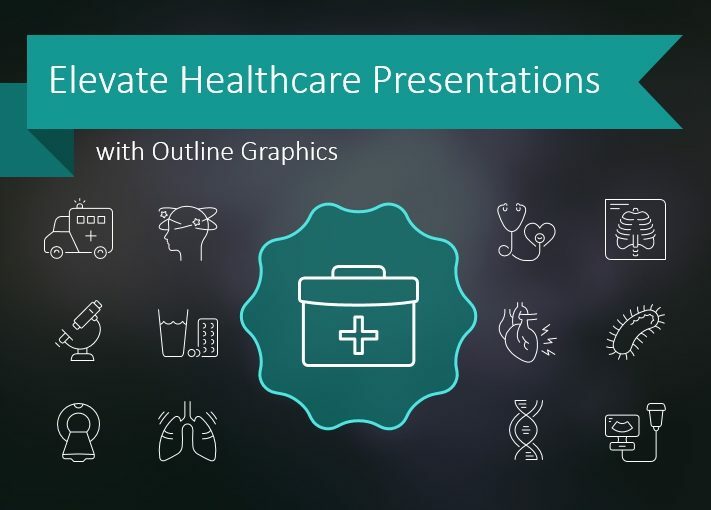 Images in this healthcare outline set can be tweaked to suit your needs using only PowerPoint’s native tools. Adjust the size, color, and more to match your business, brand, audience, and more. With a few graphical embellishments, you can take a medical patient brochure to the next level. You can get complex concepts across with an infographic. What might you do to boost interest in, and understanding of, your next project? You could replace a numbered or bulleted list with simple shapes and text. You could add outline icons to represent departments, divisions, or more abstract concepts. Need more help? Take a look at our slide redesign tutorial at Slideshare, and get inspired! You may be wondering why you would need to build visually striking presentations or resources. Eye-catching imagery can more effectively capture and maintain attention. When an individual invests their full attention on a topic or talk, they are more likely to retain the information. Even if you’ve had to give a similar presentation before or you need to refresh employees on information they should know – you can modernize the visuals to make it more effective. Adding graphics can also be helpful when your ideas are complex. 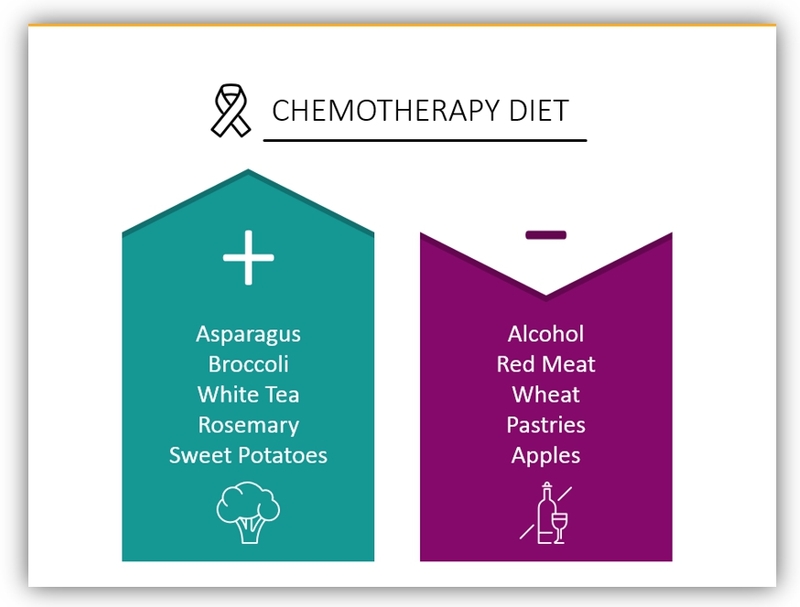 This modern slide simply breaks down the ideal chemotherapy diet. It’s simple but powerful. How can you implement this strategy in your own work? Use visuals to make simple but powerful statements. You can make your presentations interesting and creative. If you need help implementing this or another image set, reach out to us. We want to make your presentation a success! We’ve designed a collection of medical symbols you can use in your presentation materials and modify as you wish. Think of how these images could make your project more interesting and creative. Should you need more of these check presentation infographics diagrams or general business outline icons set. For more medical presentation graphics, see this blog.